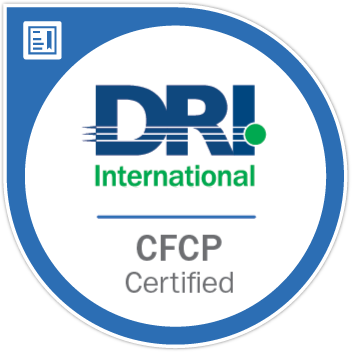 Earners of the CFCP badge are professionals who have a special skill set within the business continuity and disaster recovery profession. An example of this would be an expert in IT recovery, application testing, or business impact analysis (BIA). Earners have demonstrated knowledge and working experience in business continuity/disaster recovery.